This is How I Feel About....Bead Shows. Link up!! 1. Meg from In the Loop told me how she felt about Gwyneth Paltrow...complete with cliche piano crawling and all. 2. Of Pinks and Fairy Tales told me how she felt about the lack of creativity of shoe designers in the Phillipines, until she came across these interesting shoes!! 3. Alison from Stuff and Nonsense told me how she felt about her right armpit. HAH. Go read it. 4. Kristen from Who's Watching the Baby told me how she felt about negotiating wedding reception venues. As a gal hoping to be engaged in the near future (hey boyfriend! how are you? ;) ), I found it useful. 5. Jennifer from Two Butterflies told me how she felt about thrift stores. Different perspective from me! 6. Tashi told me how she felt about her new killer key-chain. It looks intense. Self-defense on steroids. Now. How I feel about Bead Shows. Once a year this big boy comes to town and I save up all my money and set aside a whole day to go shopping. I have to park like miles away from the convention center, but love the walk in to the doors cause I see tons of minivans as I walk past with bumper stickers that say things like "Just Let me Bead and No One Gets Hurt," "Hot Bead Babe," and the like. Then, salivating slightly at the mouth, I open the doors, spend a ridiculously large cover charge just to get in, and am finally exposed to three levels of nothing but BEADS. And let me tell you. THERE ARE SO MANY BEADS. 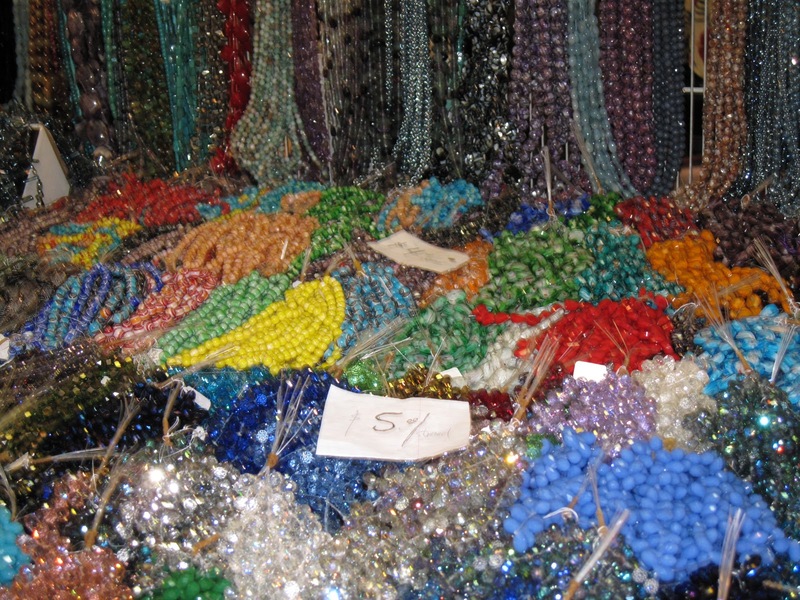 As an open beadaholic, entering into a bead show is like one of the closet things to heaven on earth I've ever experienced. 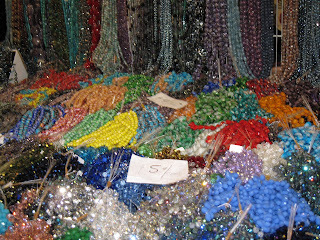 Everywhere you look there are just rows and rows and piles of piles of beads. 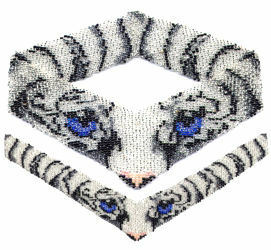 All other physical needs: hunger, thirst, the need to go to the bathroom, are forgotten as I spend hours up to my elbows in beads. If you ever come to one of these shows and happen to find me wandering around listlessly by myself, a little drool coming out the side of my mouth, clothes disheveled, heavy burdened by bags and bags of beads, don't worry. This is normal. Eventually I'll remember that the pressing pain in my lower abdomen is my bladder, reminding me it still is,in fact, operating and needs to be attended too. I'll go pee...snap out of bead funk, and get back into shopping. Another great thing about these shows are the people there. I'm normally one of the youngest, and this is totally to my advantage. When word of mouth starts spreading that the pewties booth is offering buy 5 vials, get 2 free, me and a herd of other women rush over and battle it out over prime bead picking places. Those booth spaces are small, and my young little legs carry me over real quick and I have been known to be a little too forceful nudging my way into shopping spots. Note for the Record: Rebecca has never injured any bead show shoppers during a bead rush frenzy. I may be forceful, but I'm not mean. Now, I'm all for promoting creativity. And I know everyone has a different style. And I don't want to judge. But tiger eyes???? Little frightening. I think i'll let these ladies in front of me at the Pewties booth. Other shopper: "Did you make your necklace?" I know she made it. Other shopper: "That's nice. I like it." I could make it better. Me: "Thank you! You're so sweet. I like yours too." I wouldn't be caught dead wearing that. There's some fierce competition at them bead shows. Let me tell you. These shows are not for the faint of heart. Haha. Ok, maybe I exaggerate... a little. but not really... Despite all the craziness. I love um to death. Can't wait for the next one. So. That's how I feel about bead shows. Now link up and tell me how you feel about something!!! 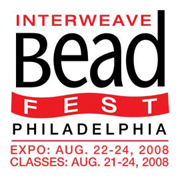 I live in Philly and never knew there was a bead show!! I'll have to tell my sister to be alert as she is very into jewelry-making. sounds intense! hope you don't mind I used a really old post of mine to link up, I didn't know what to write about!